Michelin PS3 - recommended supplier of good, used tyres. Hope this is allowed, but further to my WHYDTYCT post I just wanted to recommend and pass on the details of Ed at Elite Motorsport Engineering. He's a great guy to deal with and runs a team of Ginettas, generating a lot of part-worn 195/50/15 PS3s every month! He's selling them on eBay at £80/set plus £20 post, but is more than happy to do deals for bundles; if you contact him direct then single sets are £70, two for £130 and three for £180. All plus post at £20/set if required. 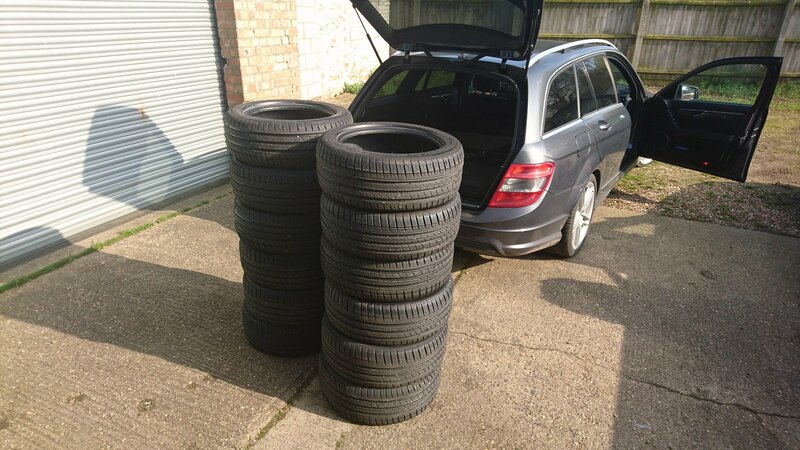 Like I say, he's a good guy and spent time with me ragging out the water on 12 tyres (as I handpicked them from a huge stack) before they went in my car. You can contact him on 07590804865. Unfortunately, with demand outstripping supply, Ed is sticking to £80 a set so discounts no longer available. Shame I have 14" wheels. I haven't managed to get a set from him yet & I do have 15'' wheels.